A peak of the Premier Range, Mount Sir John Abbot is named for John Joseph Caldwell Abbott (1821-93), who reluctantly agreed to become prime minister of Canada on the death of Sir John A. Macdonald in 1891. Abbot’s health was poor and he resigned in 1892.Abbott was born in St. Andrews, Lower Canada, and was educated in law at McGill College. Elected to the House of Assembly in 1857, he was appointed solicitor general in 1862. 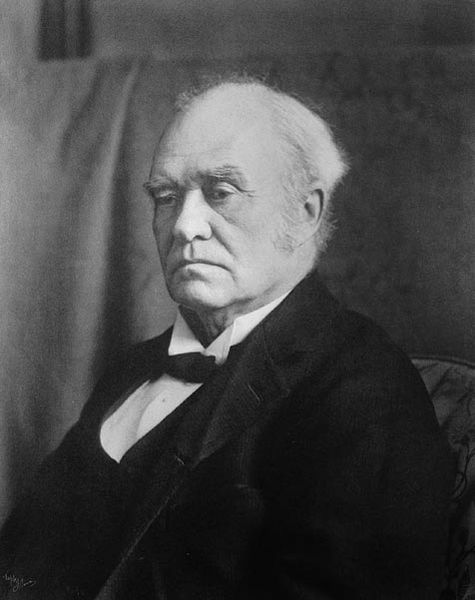 He lost his seat in the Pacific scandal of 1873, which brought down Macdonald and the Conservatives on charges of having taken election funds from promoters who were seeking the Canadian Pacific Railway charter. Re-elected in 1880, Abbott was appointed to the Senate in 1887.